Just days after becoming the Leading scorer in La Liga history, Lionel Messi did the same in UEFA Champions League - becoming the leading scorer in the Competitions History. Prior to the match he was tied with Raul for the top spot. 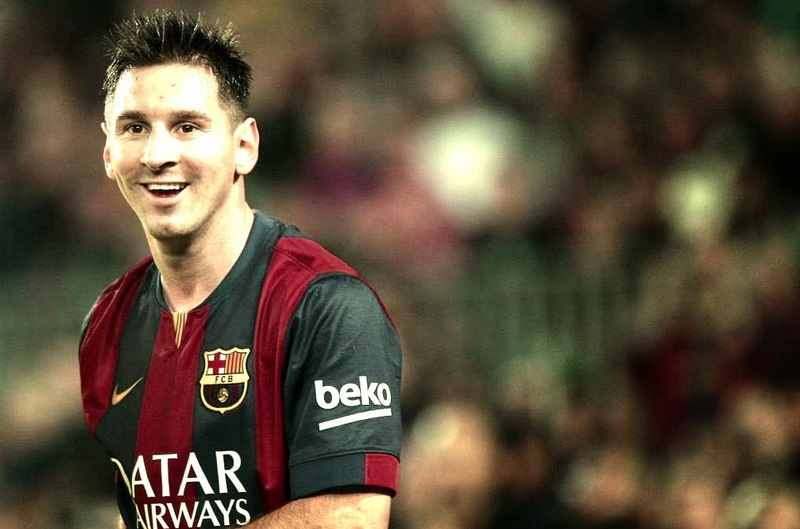 A GIF animation of Lionel Messi's Record Breaking goal becoming the all time leading goal scorer in La Liga. 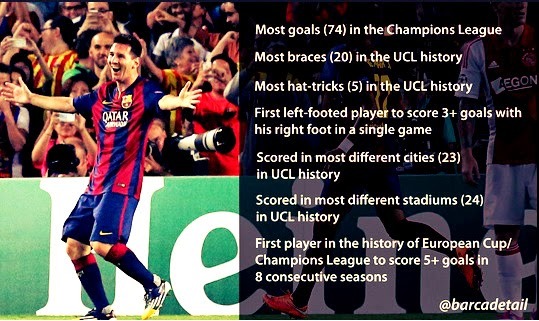 How better can one equalize a Record that was held for so long? 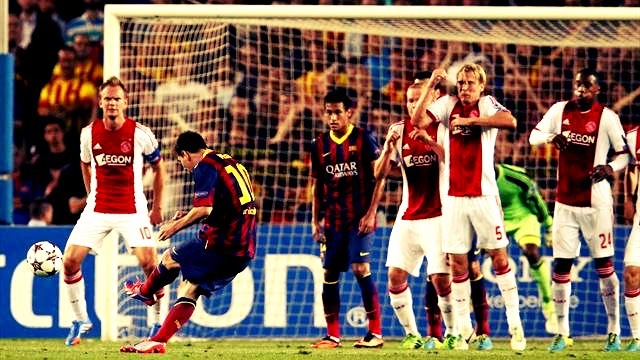 Highlights from FC Barcelona's 5-1 victory over Sevilla at the Camp Nou. 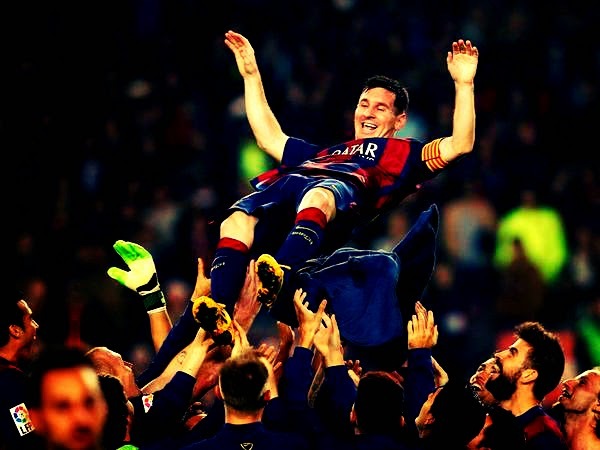 Messi created history scoring a hat-trick becoming the all time leading goal scorer in La Liga. Seung Woo Lee , The Barca Wonder Kid - Worth the Two Window Transfer Ban? 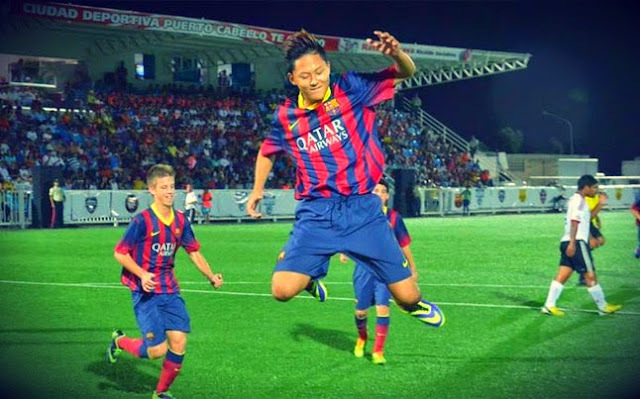 A video compilation of Barca wonder kid Seung Woo Lee. His transfer along with other nine earned Barca the two window transfer ban. Luis Saurez was the hero of the night when he created two goals which helped Barca to overcome a 1-0 deficit. We were in course for a third consecutive defeat until Saurez turned the creator in chief. The beneficiary of his creativity was Neymar who scored the equaliser and Alba who put Barca in the lead. 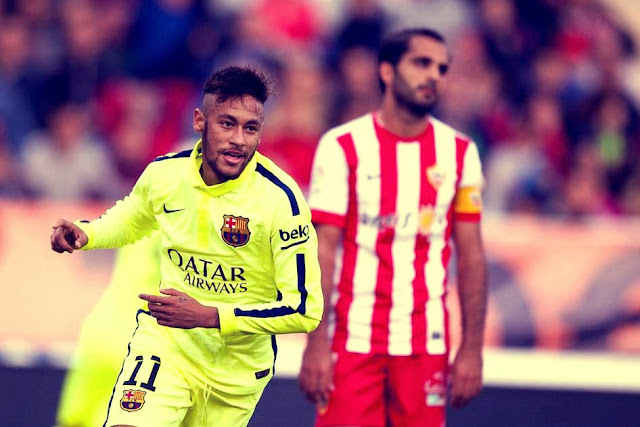 As expected Neymar and Saurez started from bench against Almeria. In their absence Munir, Pedro partnered Messi up front. Rafinha, Rakitic and Busquets formed the midfield trio. 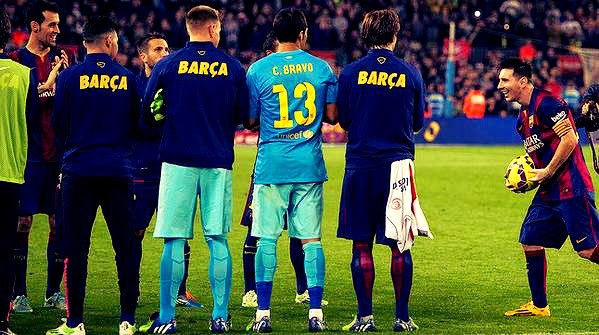 Adriano, Mascherano, Bartra and Alba formed the defense with Bravo taking his usual spot under goal. All the Euphoria about Barca's excellent start to the season has suddenly fizzled out. The unbeaten start, the Goal Keeper who doesn't concede all those stories which regularly found themselves in the front pages have been replaced by a mid-season crisis story. And to an extent we are in a bit of a crisis. That crisis is not a result crisis but more or less an identity crisis. I can't remember when was the last time we found ourselves fourth in the La Liga table. I do remember instances of losing matches twice in a row but failure to score at home also is an event which is so far in memory. Doubts are suddenly creeping into our game, players and more importantly the fan. Everyone fear that this could all end up with that familiar feeling. With Quarter of the season done we suddenly are looking at a repeat of last season's issues. The only positive side from all this is that this is happening pretty early which should give Luis Enrique enough time to rectify, if he chooses to.